Our daughter loves Peppa Pig. When we are at home she constantly asks to watch Peppa Pig on TV. I don’t mind it at all, and I’m quite happy to have it on the background, as it’s not one of those kids TV shows that grates on me, thank god! 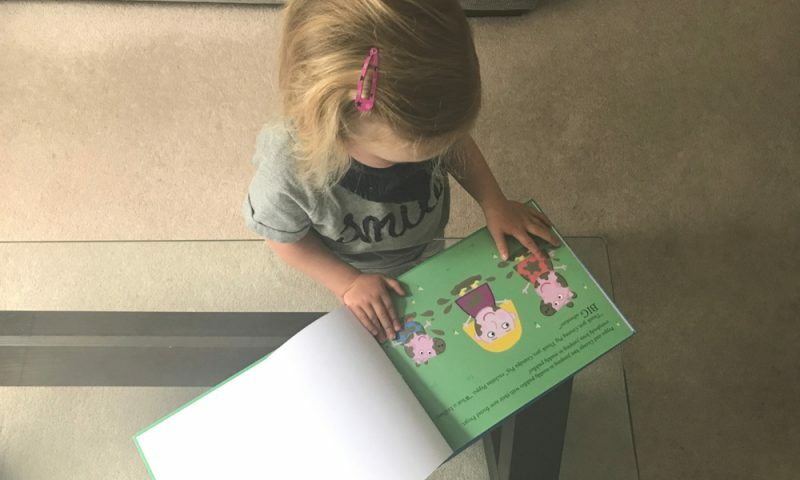 As she loves Peppa Pig so much we were thrilled when we were invited to review Peppa and George’s Big Adventure personalised book which I knew she would enjoy reading, plus it made a really good 2nd birthday present too. It turns out we are really enjoying reading the story together, where Peppa and George are visiting their grandparents house, and a treasure hunt is organised. Peppa and George find clues along the way, and each clue is a letter of your child’s name. 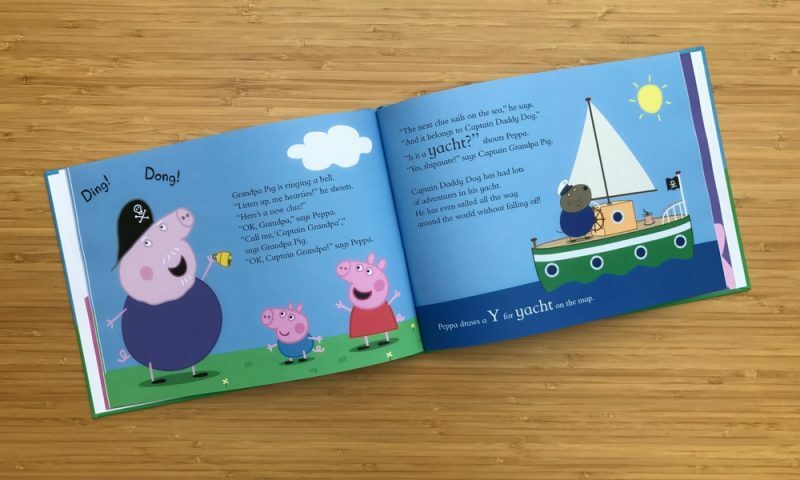 In our book Peppa and George hunt out as part of their treasure hunt a Frog, Racing Car, Eggs, Yacht and an Apple to spell out our daughter’s name. At the end of the story, Peppa and George get to meet their new friend, which is Peppa Pig look-a-like of your child, and they all get to jump in muddy puddles together. The personalisation is really simple to do. I visited the Penwizard website, and selected Peppa and George’s Big Adventure where there are two size options; either Large Softback or Large Hardback. We have the Large Hardbook, and I would recommend this for younger children who have a penchant for destruction. 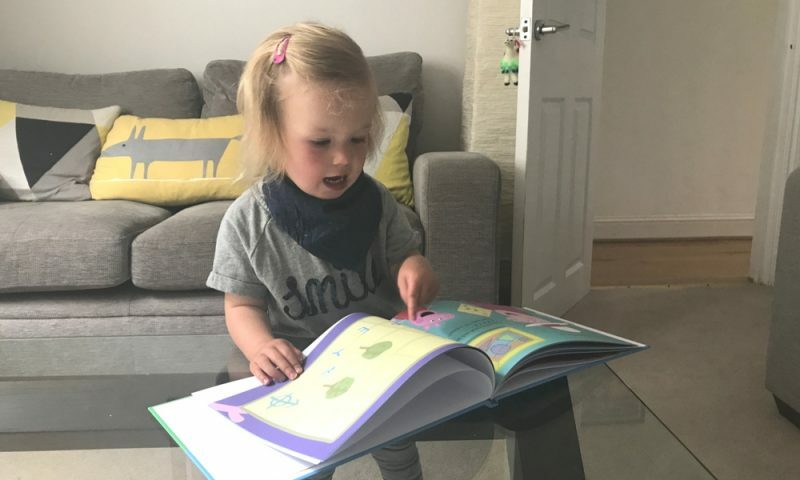 Next you provide the name of your child, any personal message you would like for the inside front cover, and what your child looks like for the book personalisation. It’s really that simple and the book costs £22.49 which would make a perfect birthday or christmas gift for your child, grandchild, niece or nephew. We are really impressed with our Peppa Pig personalised book. It’s beautiful. It’s a really nice size, and of a good quality too. 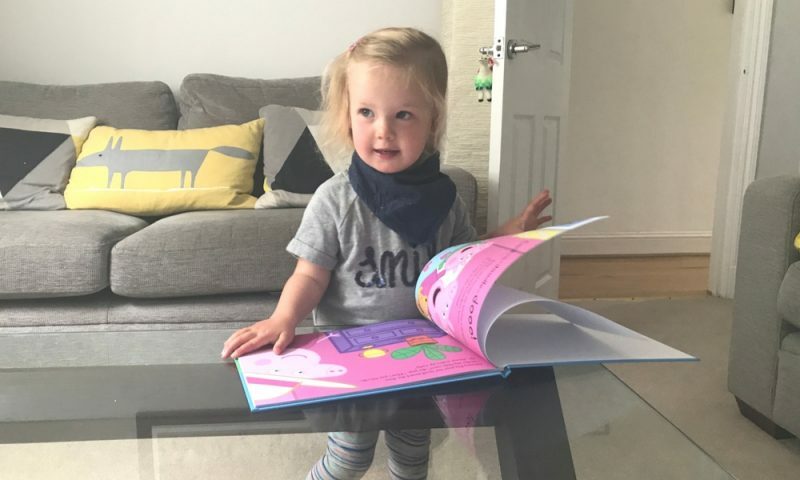 Each page is very colourful and eye-catching, and made with sturdy paper to avoid being easily ripped, which is very much needed in our household at the moment as our daughter seems to want to rip everything. 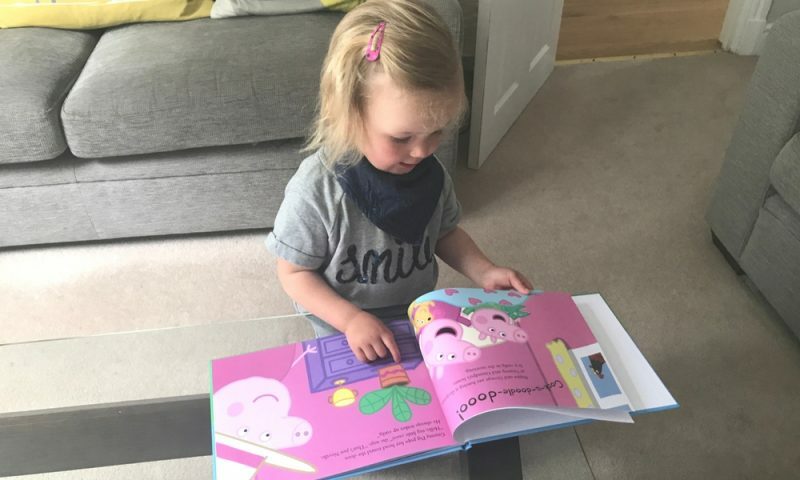 If you would like to order one of these books for yourself or another personalised book from the Penwizard range including In The Night Garden and Paw Patrol, I’m offering my readers 20% off with the code PRAM20 to use at the checkout on the website. Be quick the code is valid until the 23rd September 2017! You could be really organised and order an early Christmas present. Offer not valid in conjunction with any other offers or discount codes. Available on any personalised book, not valid on Peppa Pig stationary. Offer valid until midnight 23rd September 2017. 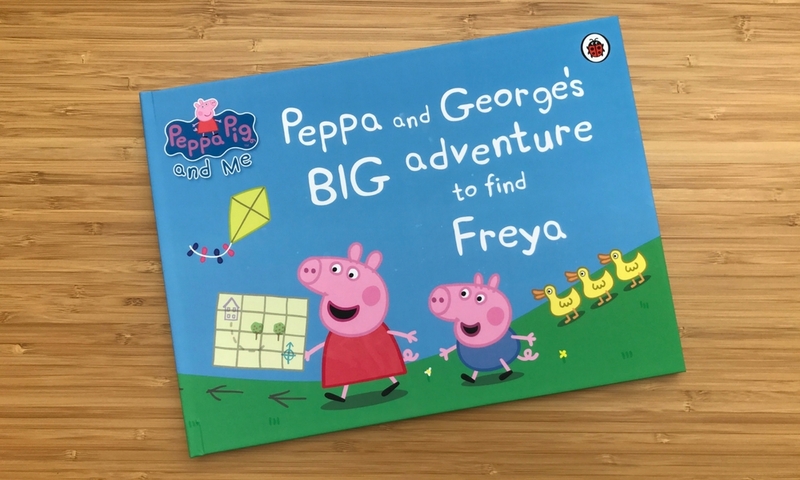 N.B I was gifted that Peppa and George’s Big Adventure personalised book in exchange for an honest review. Personalisation of books for little ones is a real winner and so is Peppa Pig. This one sounds perfect for my niece’s birthday next week. Matt recently posted…The most popular IoT devices for owners of dumb-homes!! !